I was looking at headlines and came across Tommy Killander USAF 104 Starfighter. Like it very much so I decided to post mine own that I done about 4 years ago. By the way this is not to compete against Tommy’s 104. This is when I first started to do some modeling and I don’t mean picture of me but build plastic models. What you think have a future in this or should I go back to watching TV. 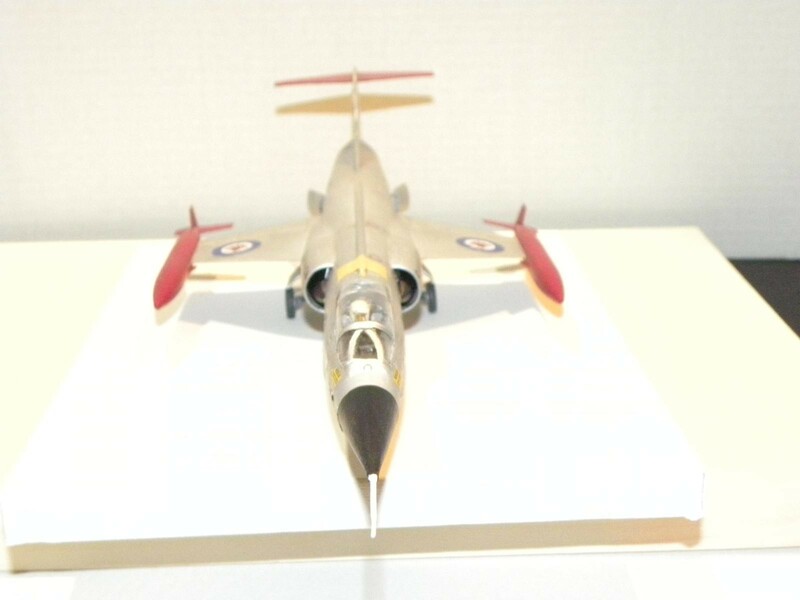 A little history of the Canadian 104 Starfighter; Lockheed F-104 Starfighter supersonic fighter aircraft built in Canada by Canadair under licence. 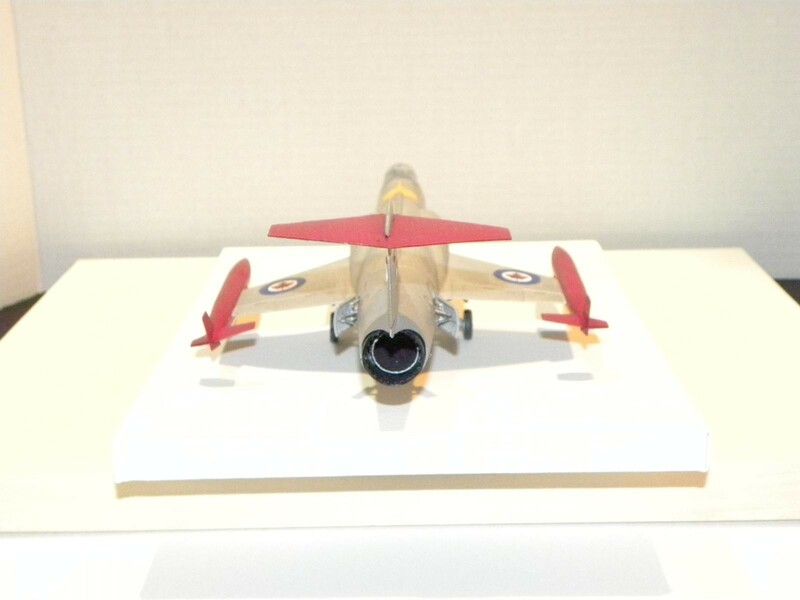 It was primarily used as a ground attack aircraft, despite being designed as an interceptor. It served with the Royal Canadian Air Force (RCAF) and later the Canadian Armed Forces (CAF) until it was replaced by the McDonnell Douglas CF-18. The RCAF, and later the unified Canadian Forces, operated 200 Canadian-built CF-104s and 38 dual-control trainer CF-104Ds (built by Lockheed) between 1962 and 1986. 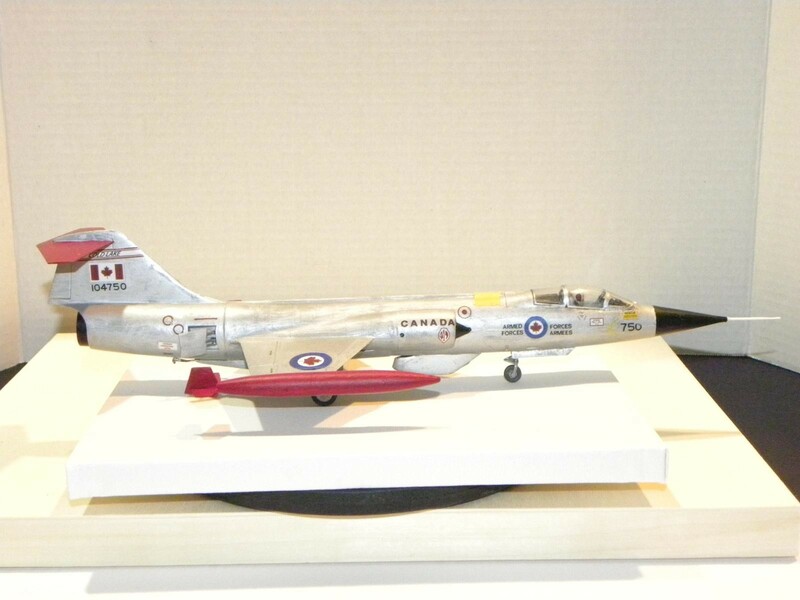 CF-104s were equipped with additional electronic equipment, with an Radar warning receiver function, in the tail and under the nose. Losses were high, with around 110 crashes in Europe. Its heavy usage, mainly at low-level for bombing and reconnaissance missions was a major factor, while bad weather conditions contributed to almost 50% of the accidental losses. The airframes had an average of 6,000 flying hours when phased-out; triple that of Germany’s F-104s. Surplus CF-104s and CF-104Ds were later transferred to Denmark, Norway, and Turkey. 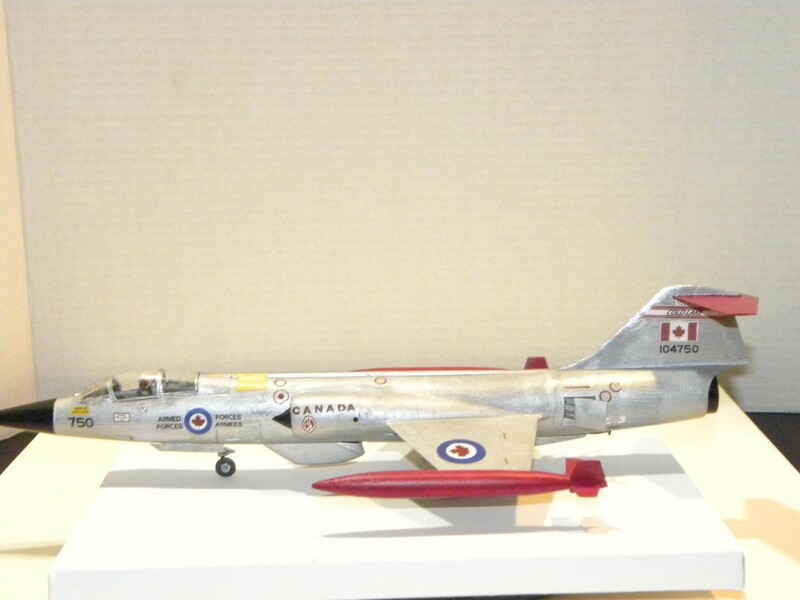 The CF-104 was nicknamed the “Widowmaker” by the press but not by the pilots and crews of the aircraft. David Bashow states on page 92 of his book “I never heard a pilot call it the Widowmaker”. Sam Firth is quoted on page 93 in Bashow’s book “I have never heard a single person who flew, maintained, controlled, or guarded that aircraft of any force (and that includes the Luftwaffe) call it the Widowmaker”. The pilots did refer to it, in jest, as the “Aluminium Death Tube”, “The Lawn Dart” and “The Flying Phallus” but generally called it the 104 (one oh four) or the Starfighter. With respect to all who flew and worked on the 104 Starfighter. Thanks, enjoyed doing this one. never hear that one before but it certainly fits. Like you photo of yourself. One of my favourite movie and Canadian born actor. Right now finishing up on HMCS Huron 1944. Wish there were more models out there to represent Canada. I will kept a eye out for your black and white checkboard when you post. Thanks for sharing! 104s look best in NMF with maple leafs.